Ergonomically designed to help alleviate muscle pain by switching from sit to stand in just seconds, reduce muscle tension and enhance your workday productivity with this sit stand desk. 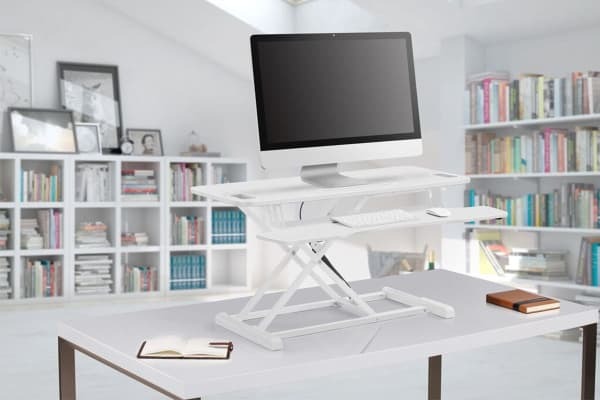 Get the most out of your workday with the Ergolux Pro Height Adjustment Sit Stand Desk Riser, built with a squeezable gas lift to help you seamlessly transition from sitting to standing for ultimate comfort. 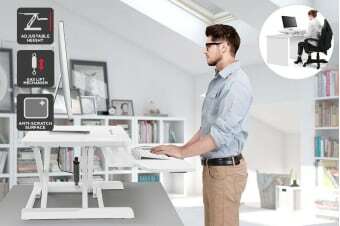 Research has shown that changing up your workday from sitting to standing can help to improve focus and energy levels*, in addition to helping you to stay in shape by increasing muscle productivity and alleviating lumbar soreness caused by sedentary sitting. 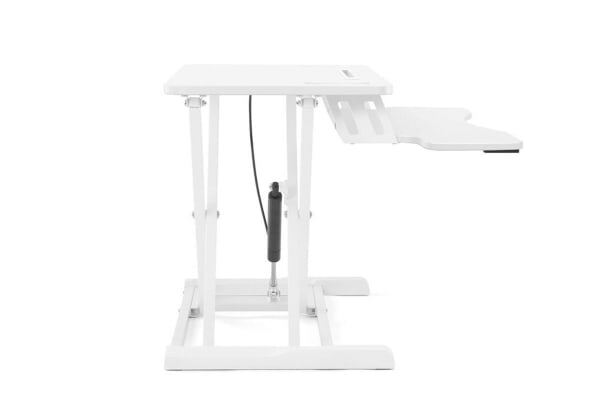 Boasting an impressive tabletop space, this sit stand desk holds up to 15kg and can comfortably fit two screens, your keyboard, mouse and desk necessities with ease!